Like everyone else, I have been pondering the Gulf oil spill with great concern and an eye to future consequences. Suffice it to say I am terrified, and although rationally I doubt a large-scale ecological disaster is on the horizon, I have been playing out the possibilities in my head just enough to keep me awake at night. As a sort of gateway to catharsis, I thought I might revisit a list of memorable instances in literature with man-made disasters at their core– not as an exercise in taking advantage of living comfortably far away from direct effects of the crisis, but as a way to humbly bring things back into perspective. Lucky for Harlan Ellison that J.G. Ballard is on this list, otherwise Ellison would have to accept the dubious honor of being the most twisted and perverse mind herein mentioned. 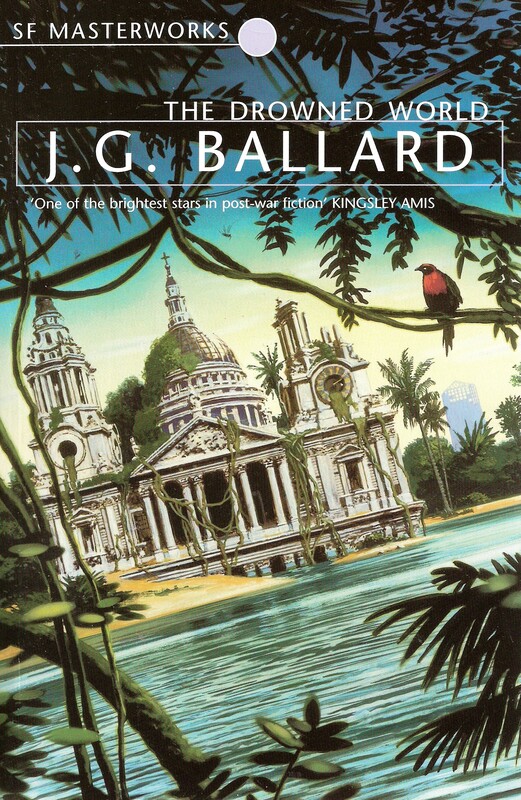 The Drowned World, which is highly surreal but not quite as shocking as Ballard’s later works, takes place in a future world where much of the planet is flooded and London is a primeval tropical jungle. Ballard puts an interesting spin on the disaster novel in the way he links the external landscape with the minds of the protagonists. Faced with a world lapsing into atavism, all of the characters undergo their own psychological degeneration, uncomfortably forced to struggle with their own mental archaeology. This is a fascinating conceit, and one that I suspect is true (even if I am unwilling to test it out). A worldview is only as good as the world surrounding it, and our psychologies rely heavily on the preexisting social, linguistic, political and even physical structures. It is worthwhile, then, in my mind, to carefully analyze the way disasters and social upheavals affect the individual and group psyche and to not take for granted that our current mental state is neither a static point nor a high water mark for excellence, but rather a product of the landscape. Back in the long long ago, deep in the recesses of time before Girl With the Dragon Tattoo was released (if you can even imagine such a time!) 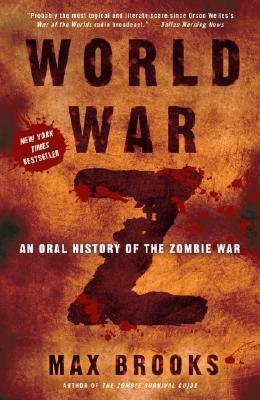 there was a very popular book on the bestseller lists called World War Z that was very entertaining, fun, well-written, and actually pretty thoughtful. Taking a cue from George A. Romero and the vast corpus of zombie-related fiction, Brook crafts a meticulously well-researched and carefully thought out story of what happens when the dead walk the earth. As Brooks puts it, “except for the zombies everything is 100% real,” meaning that he took every opportunity to depict a realistic zombie invasion scenario, with attendant looks into the reaction of the developed world, the emotional toll on people’s lives, potential political and sociological changes, and, on top of it all, he actually comes up with a fairly reasonable method to halt a zombie invasion. It is impressive the way Brooks ties together the narrative in a manner that fulfills any horror fan’s wishes but still also offers a larger commentary on the state of the world and its polities and he even weaves in a subtle message about the danger of irrational extremism in an interconnected world. Read it before the movie comes out! The Handmaid’s Tale takes place in a rather grim future where America has been taken over by Christian Fundamentalists and pollution in the atmosphere has slowed down the birth rate dramatically. As a result of these two factors, women are forced to serve in concubinage for bad, nasty men and generally suffer e xaggeratedly poor treatment in society. 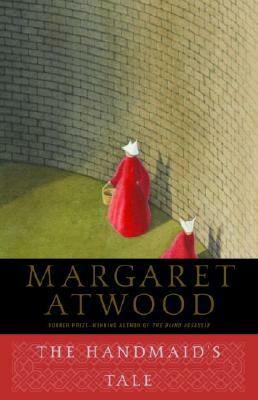 There is a certain lack of plausibility in the work that comes as a result of Atwood being perhaps more afraid of Christian fundamentalists than anyone except perhaps Starhawk, and her futuristic dystopia more resembles the Empire in Star Wars than any real life government past or present. Written during the ’80’s, The Handmaid’s Tale works best as a rather thin-skinned, if undoubtedly thoughtful and inventive, critique of the time it was written, and like many science fiction writers who were paranoid about the times, she turned out to fairly accurately predict some trends further down the road, and her more recent work Oryx and Crake satirize our time quite well and offers an even more thorough disaster event as a result of humanity’s stupidity. Feminism figures as a key detail in both these novels, and is a philosophy she views as essential to living in a better tomorrow. Readers who saw the fantastic movie adaptation of Children of Men might be surprised at how different that work is from the original novel, but both versions share the same initial disaster event as a jumping off point. That event is the inability of men to impregnate women, presaging what seems to be a total die-off of humanity in a number of decades. Without hope of future generations to carry on, humanity has lost all purpose and the whole of the world comes to resemble a rather oppressive toilet. The cause of worldwide infertility is left unexplained, but given James’ religious conviction I think it can be inferred that the man upstairs is fed up with his issue. Really, no reason need be given for spreading infertility; considering how delicate life is, anything, really, can upset it. 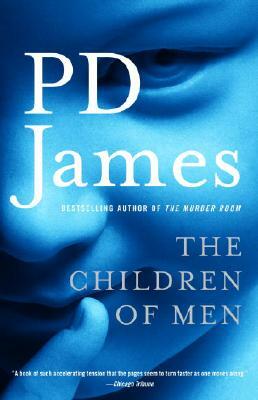 Even if Children of Men featured a disaster meant to be mysterious and symbolic more than outright plausible, I think mass infertility, just like an infinite number of other disasters, could be a real life concern in time. 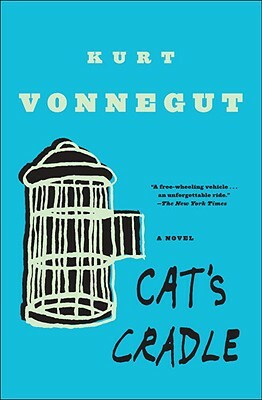 Cat’s Cradle is perhaps Vonnegut’s best work, and tackles such issues as the arms race, religion, and irresponsibility in technology and the sciences. The disaster in question occurs at the end of the novel and is rather interesting (I won’t give it away, but rest assured it is a rather implausible event). Leading up to the end of the novel though, we see that the road to disaster is set on course when an amoral scientist exchanges his discovery with an unpleasant and totally self-absorbed dictator with a strong sense of ‘If I can’t have it, nobody can’, ‘it’ being the planet Earth itself. We see through Cat’s Cradle that progress and advancement are only beneficial if implemented responsibly, and that catastrophic consequences can occur if the people in charge of potentially dangerous technologies are more concerned for their own interests than for those of humanity; a rather obvious and somewhat pat conceit, but one that we will have to keep relearning over and over again until we run out of opportunities.